Hello everyone, Giovanna here! Today, I hope to cheer you up a bit from this gloomy weather with a super colorful post. These prints will feature luscious leaves, bright greens and yellows, flamingos, and giraffes all together to create a jungle style theme. In this video, I apply the technique to heavy cardstock, plain envelopes, and cotton fabric. Enjoy! Put some drops of acrylic paint on the Gelli Arts® 6"x6" gel printing plate. I used Gelli Arts® Premium Acrylic Paint in Freshwater, Deep Jungle, Kiwi, and Sunbeam colors. Spread the paint evenly with a brayer. Lay the stencil on the plate. Press lightly with a sheet of white cardstock. Repeat until you fill the whole piece of cardstock. Clean the plate with parchment paper, which makes a perfect background for other craft projects. Now you can turn your heavy cardstock into cards. Figure out where the addresses go and mask them with scraps of paper. 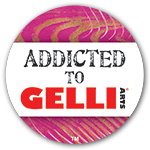 Put some drops of acrylic paint on the Gelli Arts® 6"x6" gel printing plate. Here I use Sunbeam, Freshwater, and Kiwi. Press lightly with a white envelope. Repeat until you fill the whole envelope. Peel off the masks. Now you have a printed envelope to go with your cards! What about a rainbow jungle style? If you’re going to wash your fabric, first mix your acrylic paints with a fabric painting medium in a palette. 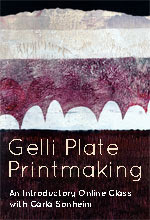 Put some large drops of acrylic paint on the Gelli Arts® 6"x6" gel printing plate. Here I use Freshwater, Mixed Berries, Sunbeam, Kiwi, and Tiger Lily. Lay the fabric down and press firmly. Lift the fabric. Clean the leftover paint with a piece of parchment paper. Repeat until you fill the whole piece of fabric. Now you can turn your printed fabric into anything you want, such as a pencil case! We can't wait to see your jungle style prints! 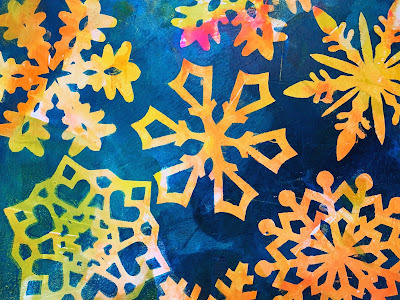 Today, I want to share with you a simple technique to create lovely colorful winter prints using hand cut snowflakes and the Gelli Arts® gel printing plate. Start with cutting Gelli Arts® parchment paper into squares. My squares are 4”x4” (10x10cm). Fold the squares diagonally to make triangle. Then fold a second time to get a smaller triangle. Now fold the triangle in thirds, one flap to the front the other to the back. Cut a straight line at the bottom. Draw a design. 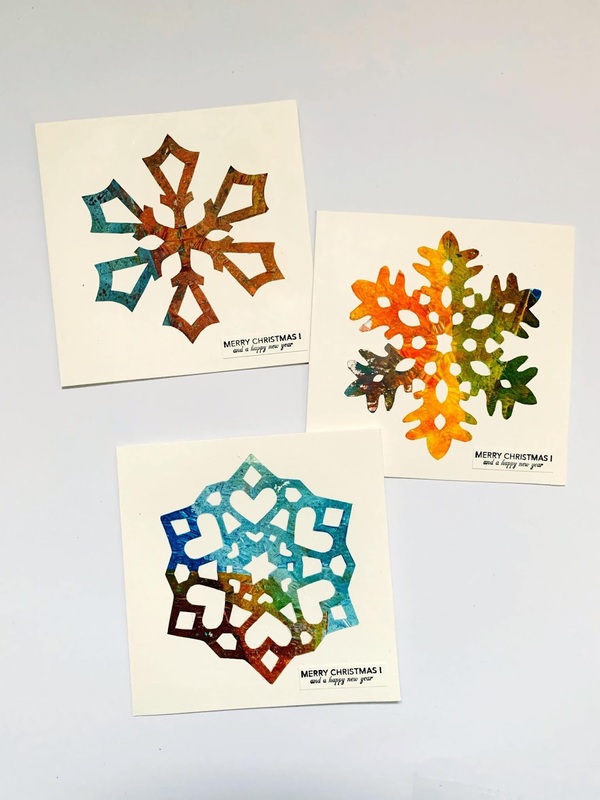 You can create your own designs or google “hand cut snowflakes” and you will find tons of designs. Create a variety of designs, cut them out, and unfold. 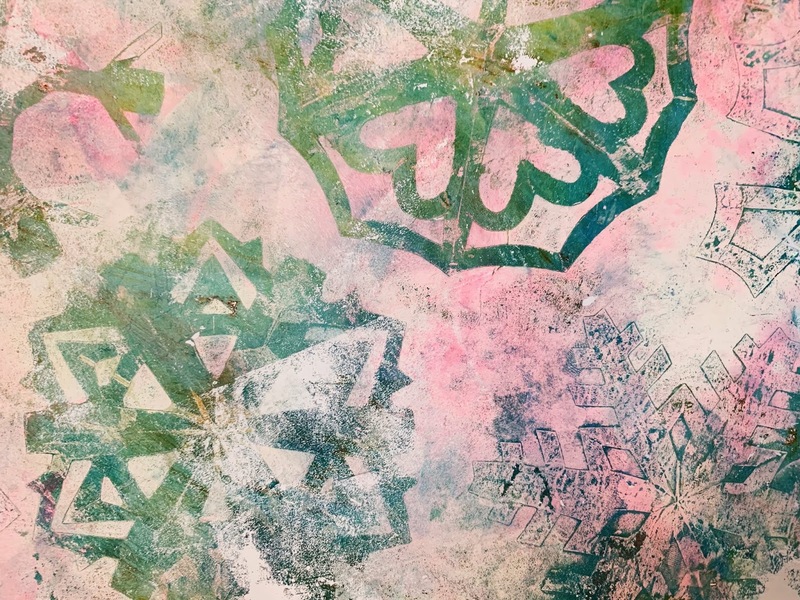 Apply several colors of acrylic paint to the Gelli Arts® gel printing plate and spread them with a brayer. Then pull a print. Print several sheets in different color combinations. Let the prints dry. 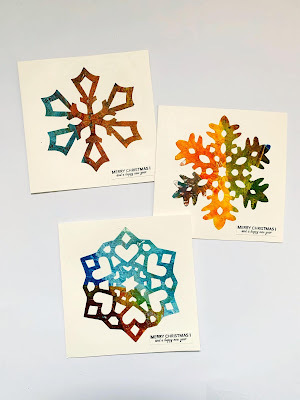 Then apply new color to the gel plate, place the snowflakes on top, and then print on the previous printed papers. Use paints that don’t dry too fast. 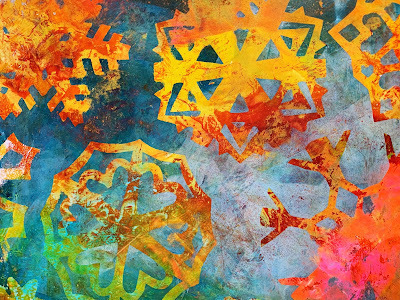 The new Gelli Arts® acrylic paints have an extender in them so they are perfect for this printing. Or if you like you can add a little bit of a slow dry medium to your acrylic paints. If the paint dries to fast the paper snowflakes will stick to the plate. 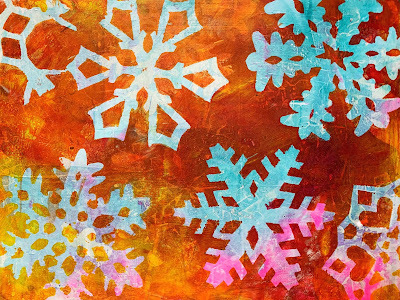 Carefully remove the snowflakes from the plate and let them dry. You can use them several times. 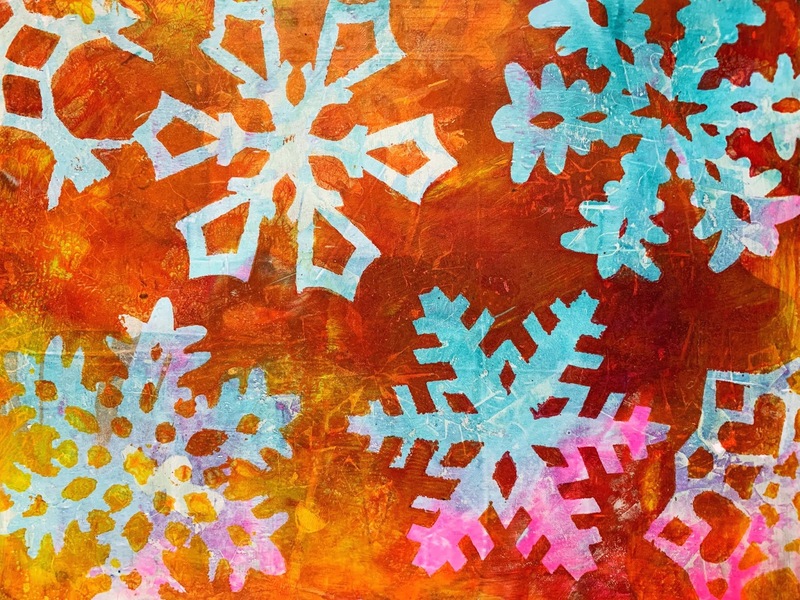 If there is any paint left on the plate after removing the snowflakes you can let it dry and then apply a new, very thin layer of paint to pull a print picking up the dried paint. 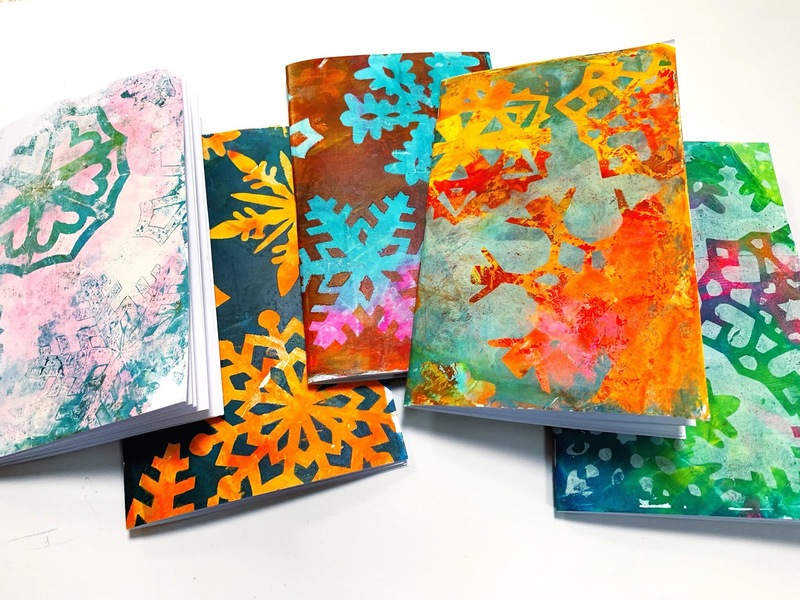 I used my prints to create colorful art journal and notebook covers. But you can also cut them up to make cards or use as backgrounds in your art journal. If you print on thinner paper, the prints would also make lovely wrapping paper. After using the snowflakes a couple of times they will be covered with beautiful layers of paint. I used matte medium to apply them to cardstock. 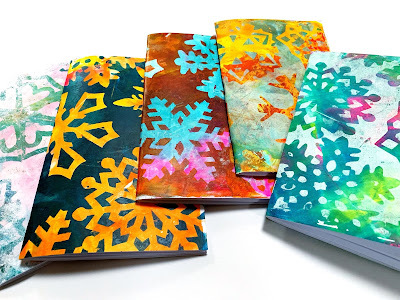 A simple yet lovely way to create colorful Christmas cards. 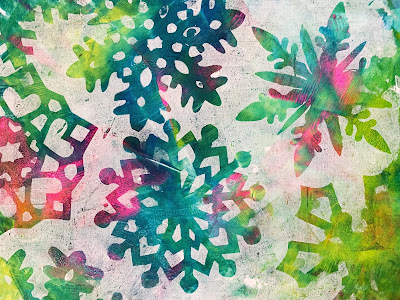 Merry Christmas and a happy, colorful, and creative New Year! !